​Manchester United goalkeeper David de Gea is reportedly demanding a new £350,000-a-week contract if he is to commit to his future at Old Trafford. The Spaniard is currently under contract at the club until the end of next season, but United officials are keen to see De Gea follow in the footsteps of Anthony Martial by renewing his contract with the club. 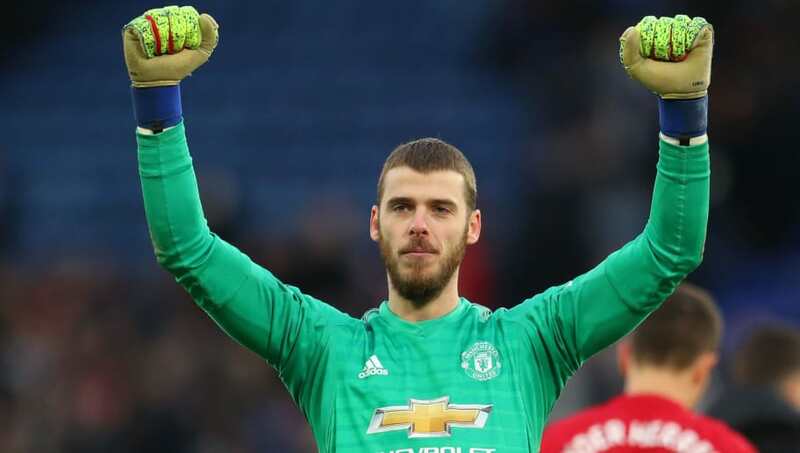 News of ​De Gea's wage demands comes from the ​Mirror, who claim that he is only prepared to sign a new deal if ​United meet his asking price of £350,000-a-week, which would see him become the club's second-highest earner behind ​Alexis Sanchez. United are said to be reluctant to agree to De Gea's demands, but remain confident that a compromise can be reached in the near future. The Red Devils were forced to activate an option to automatically extend De Gea's contract by one year after they were unable to convince him to sign a new deal. His representatives are thought to have been demanding a similar wage to Sanchez, who earns £400,000-a-week at the club, and United were unprepared to give De Gea such a wage packet. The Spaniard reportedly feels as though he deserves a sizeable raise from his current £200,000-a-week deal, given he has firmly established himself as one of the world's finest shot stoppers. He is keen to remain at the club, but will only do so if United prove their loyalty to him by offering him the £350,000-a-week deal which De Gea feels he deserves. United officials were fearful that De Gea would be lured away from the club by ​Real Madrid, but with the ​La Liga giants having spent £35m to sign ​Thibaut Courtois from ​Chelsea last summer, it seems unlikely that they will reignite their interest in the United goalkeeper. Nevertheless, it is expected that there would be no shortage of suitors for De Gea if he became available. The likes of Paris Saint-Germain and ​Juventus have previously been linked with the Spaniard, whilst Real could opt to return for De Gea as they seek to put an end to the defensive inconsistencies which have plagued their season.